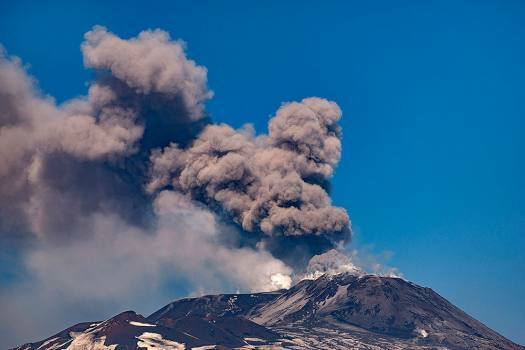 Smoke billows from Mount Etna volcano, the largest of Italy's three active volcanoes, near the Sicilian town of Catania, southern Italy. 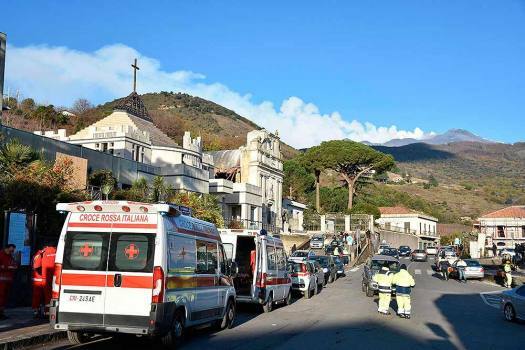 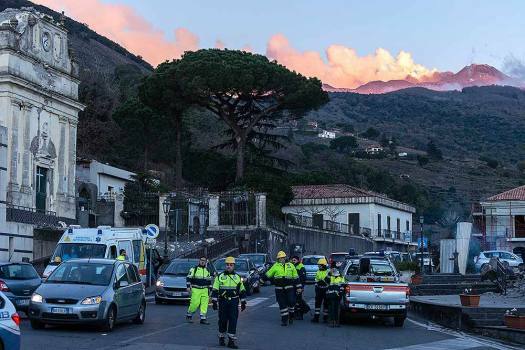 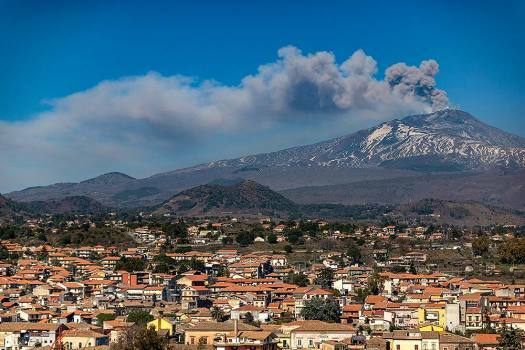 Smoke billows from Mount Etna volcano, the largest of Italy's three active volcanoes, as seen from Nicolosi, a village near the Sicilian town of Catania. 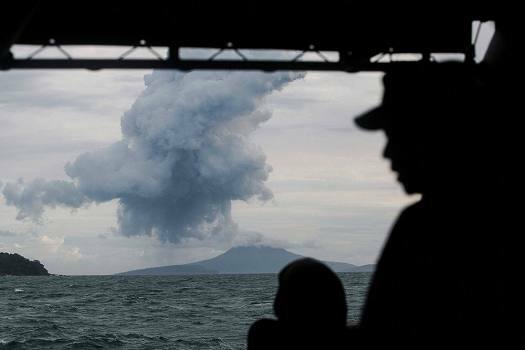 Indonesian Navy personnel watch as Mount Anak Krakatau spews volcanic materials during an eruption in the waters of Sunda Strait. 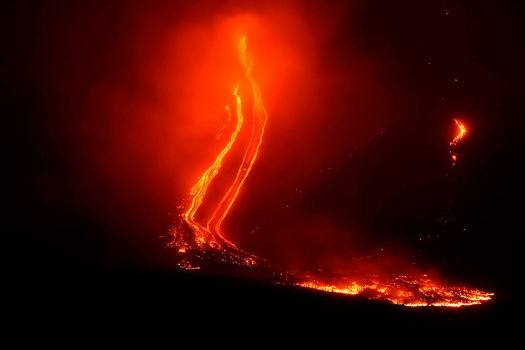 Mount Etna volcano spews lava during an eruption early. 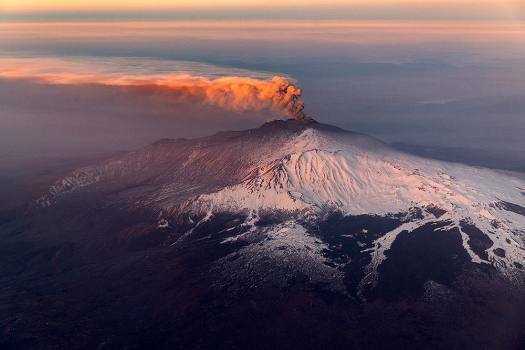 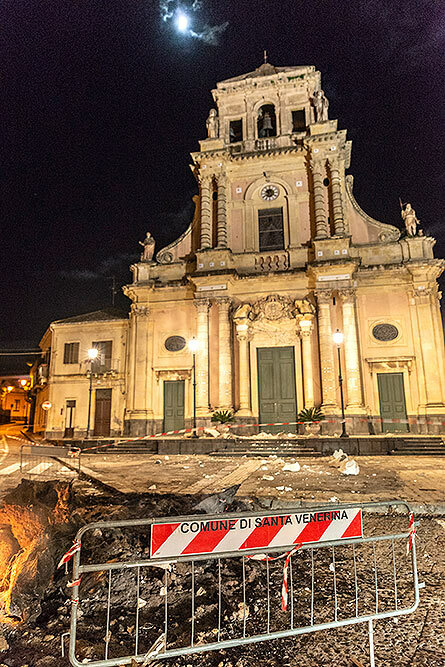 Italy's Catania airport is reopening after an ash cloud from Mount Etna's latest eruptions forced it to shut down. 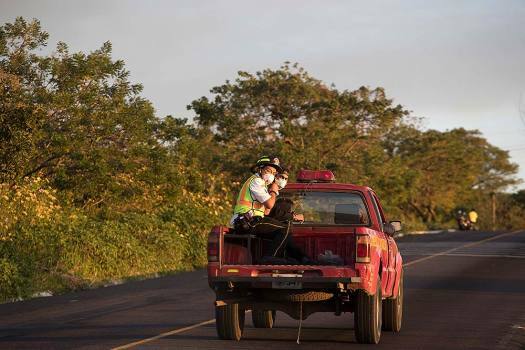 Firefighters patrol near the Volcan de Fuego, or Volcano of Fire, in Escuintla, Guatemala. 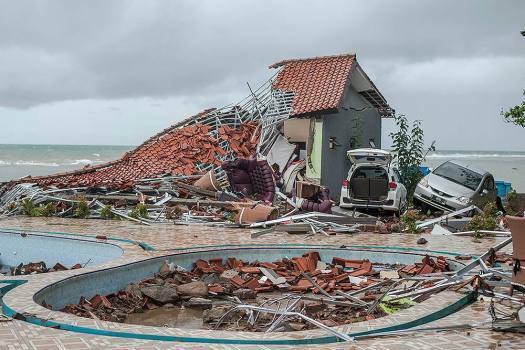 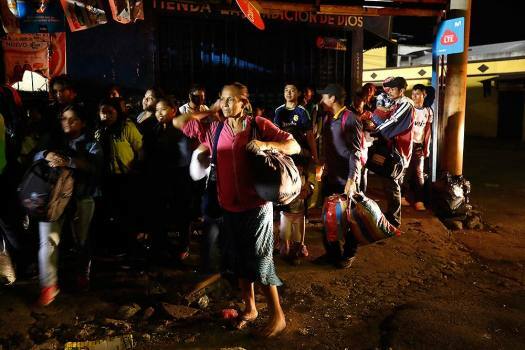 Residents along Indonesia’s Sunda Strait coast were warned on Monday to avoid beaches for at least two days for fear that volcanic activity could generate another powerful tsunami. 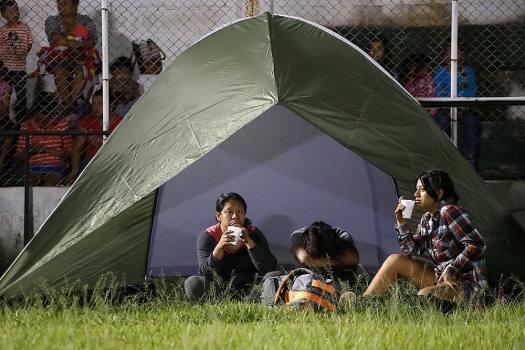 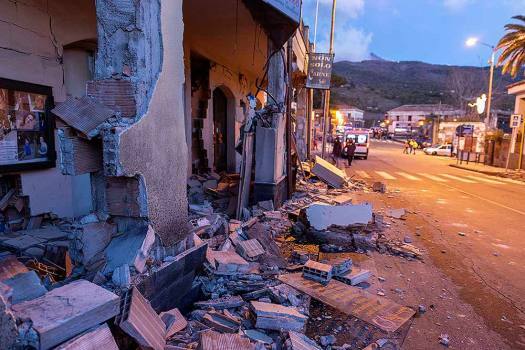 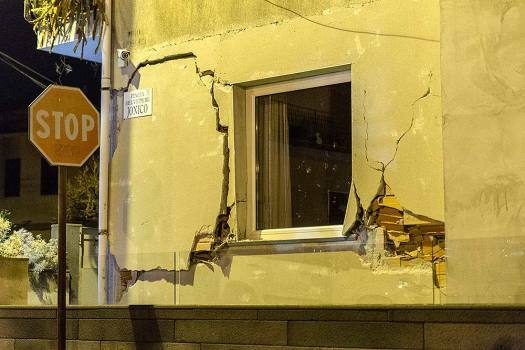 According to reports, there was no warning of the advancing wave that struck on Saturday around 9.30 p.m. 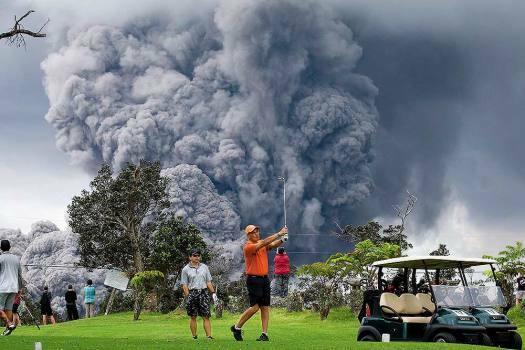 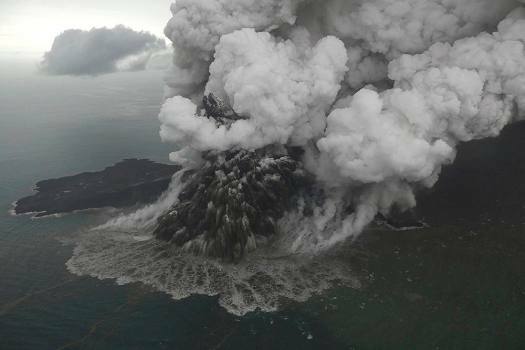 The 305-metre-high volcano, about 200 kilometres southwest of capital Jakarta, has been erupting since June. 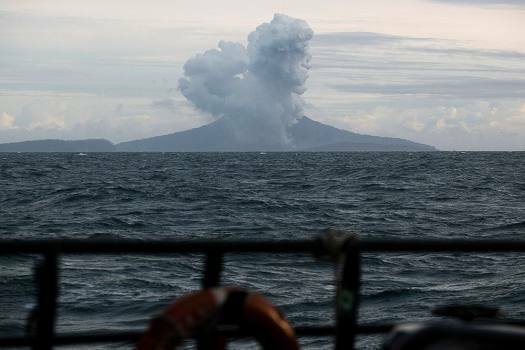 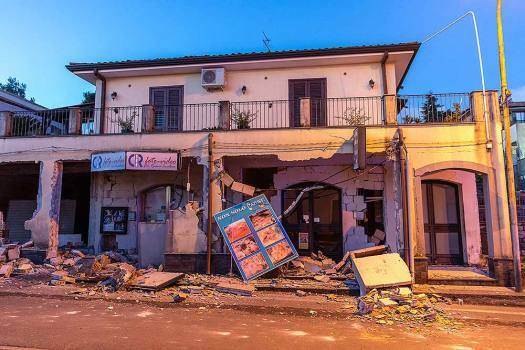 In July, authorities widened its no-go areas to 2 kilometres from the crater. 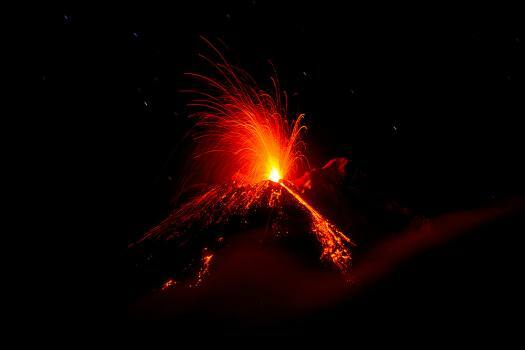 Barren Island, located 135 Km north-east of Port Blair, is the only active volcano in South Asia.